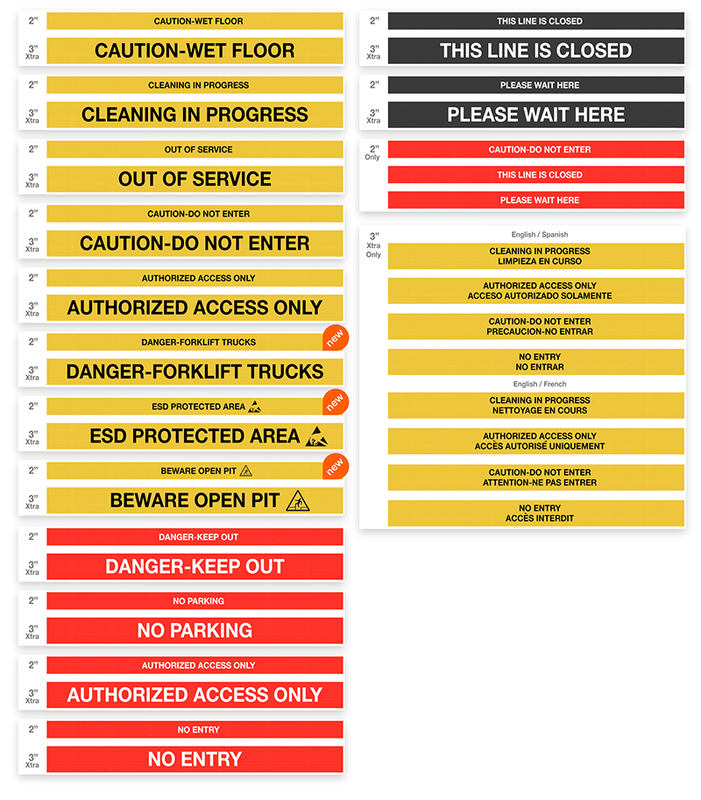 When a queue system layout is permanent, fixing the barriers keeps their alignment which saves having to straighten the runs as can happen with portable barriers. For permanent fixing the barrier is fitted with a 5” flange that enables it to be surface mounted to the floor. A decorative flange cover is also available. 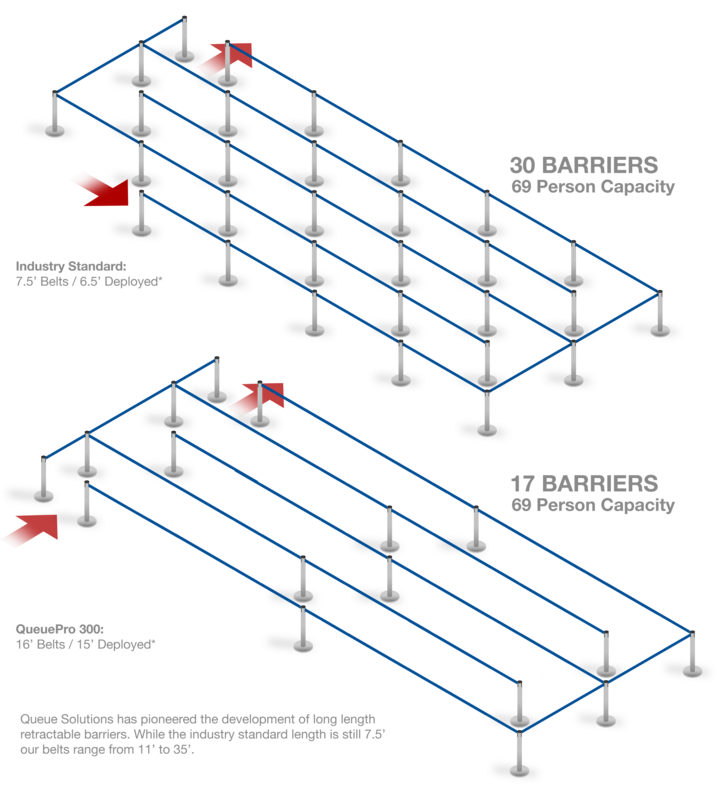 For permanent queue layouts but where occasional removal may be necessary a socket is set into the floor and the barrier is fitted with an insert which slides into the socket. 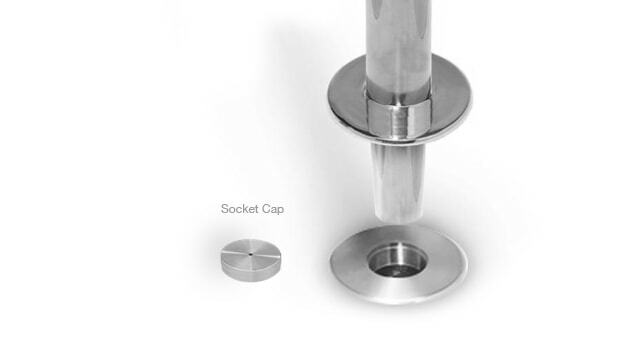 A cap fits flush with the socket flange for safe closure when the barrier is removed. 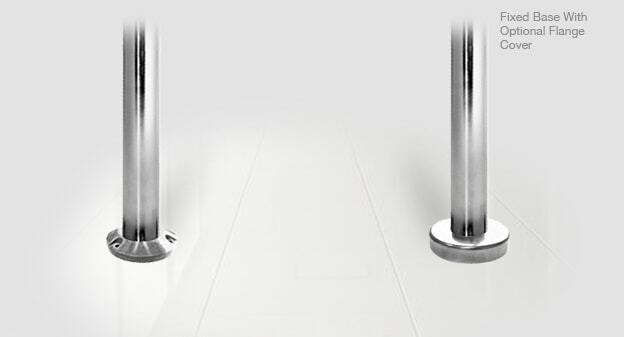 Manufactured from 0.55 gauge steel, the QueuePro posts are designed to with stand the wear and tear of the high traffic flows that permanent queue systems typically handle. Our belt cassettes are fitted with woven nylon belts that won’t fray or pucker over time and a heavy duty spring ensures the retraction mechanism will handle thousands of cycles. Permanent queue systems are often large to handle heavy traffic flow. 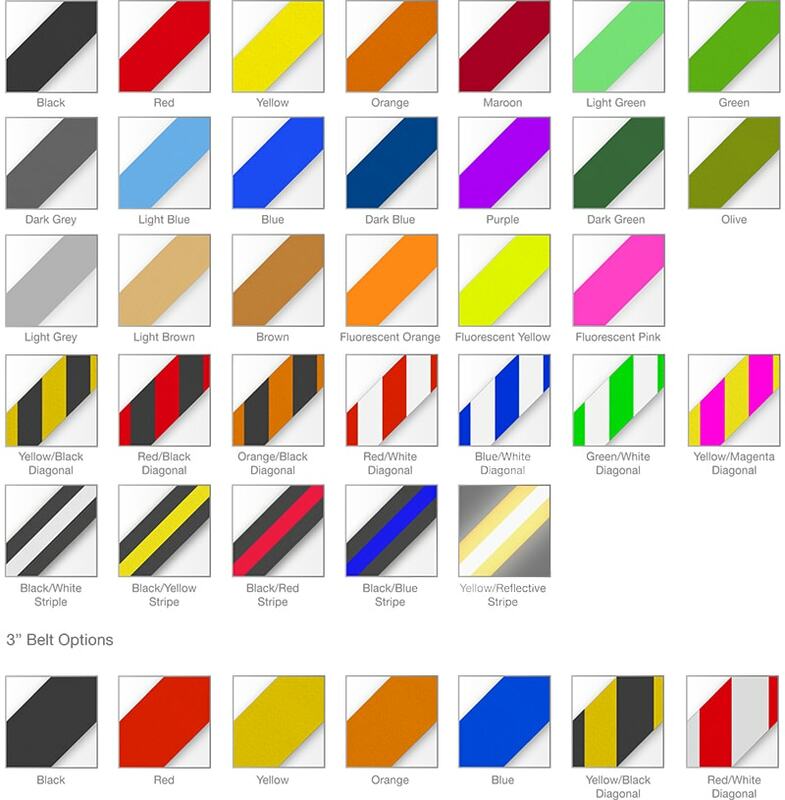 The larger the queue layout the more costs can be reduced by using longer belts and fewer barriers. Post OD : 2" Post OD : 2.5" Post OD : 3" Post OD : 2" Post OD : 2.5" Post OD : 3"
Base OD : 5" Base OD : 5" Base OD : 5" Base OD : 5" Base OD : 5" Base OD : 5"
Belt Width : 2" Belt Width : 2" Belt Width : 2" Belt Width : 2" Belt Width : 2" Belt Width : 2"